Monterey is one of our favorite destinations in California. Just a couple of hours south of the Bay Area, Monterey is a real gem, with a rugged coastline, a picturesque pier and one of the world’s best aquariums. 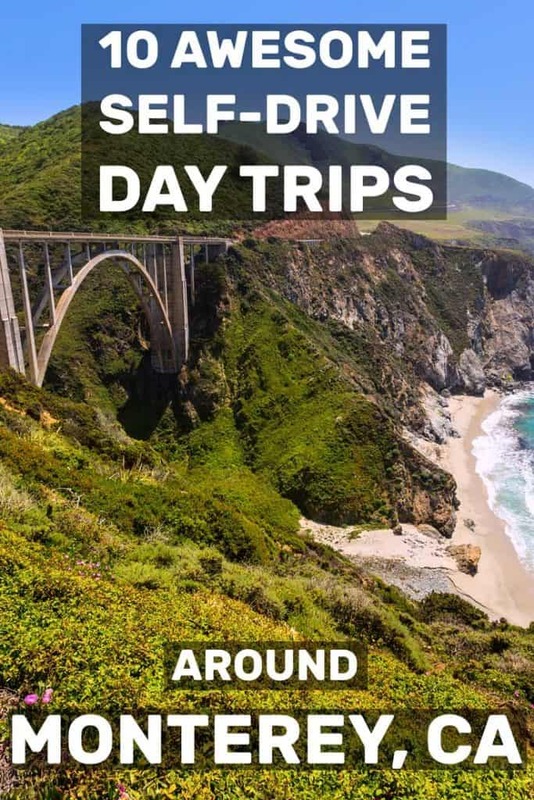 What you may not know though is that you can take some fantastic day trips going out of Monterey and returning in the evening. We’ve done this multiple times in the past and thoroughly explored the area. I’m here today with a list of suggestions for you! You can leave your hotel in the morning, explore them for the duration of the day and then return to Monterey for dinner and a good night’s sleep. Then explore a different direction the following day! For many, Big Sur is the highlight of their visit to this region of California. The rugged coastline can be traveled on Highway 1 for some stunning scenery, with great viewpoints to stop at along the way. One of the most famous ones being the Bixby Creek Bridge, located just half an hour away from Monterey itself. 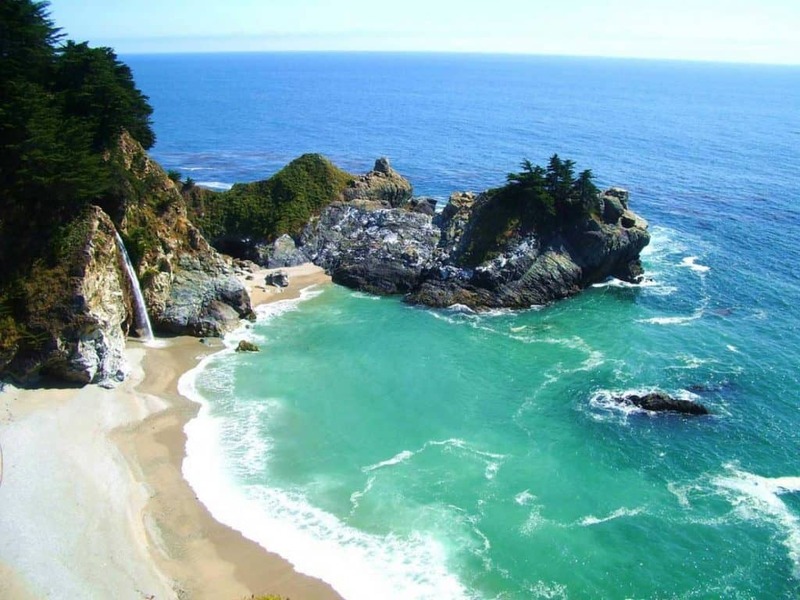 Another must-do stop along Highway 1 is the lookout over the world-famous McWay Falls at Julia Pfeiffer Burns State Park. And there are other waterfalls in Big Sur you can explore. Each of these parks offers magnificent scenery and many trails for exploring. At Point Lobos State Park, paths lead you along the coastline and up the side of gorgeous peaks. At Garrapata State Park, you can hike the trails and relax on several accessible beaches. At Point Sur State Historic Park, you can hike and visit the famous Point Sur Lighthouse. 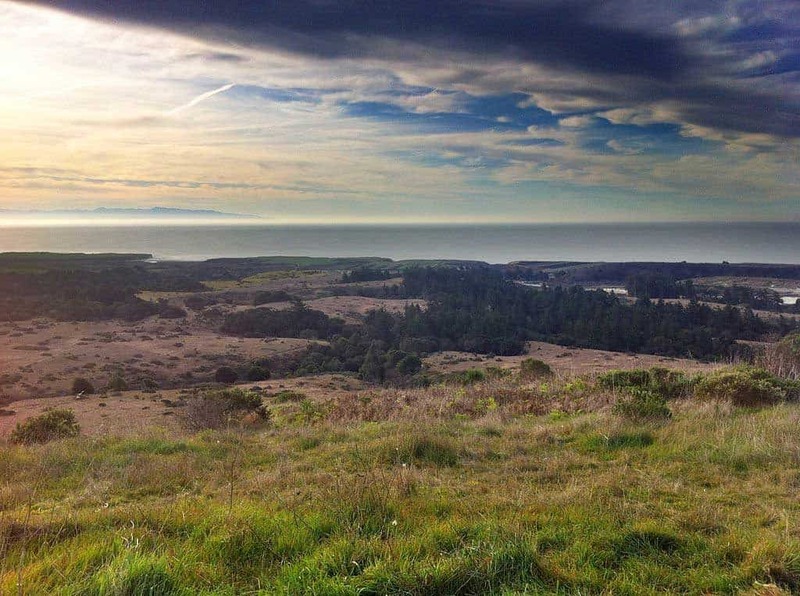 Andrew Molera State Park gives you the opportunity to visit the famous home of Andrew Molera, where you can get a glimpse at the rich past of Big Sur. Pfeiffer Big Sur State Park is another gorgeous park where you can travel through an impressive forest and the rivers that run through it. Finally, Julia Pfeiffer Burns State Park gives you a glimpse of beautiful waterfalls that flow over high cliff tops. Each park has its own hours and applicable fees for entry, so check the site for details. A quick drive from Monterey is Pinnacles National Park where you can engage in numerous activities from camping and hiking to rock climbing and spelunking. There are several caves that you can explore and many trails of varying skill levels that could take you through fabulous rock formations or deep forests. Those who enjoy rock climbing can scale rocks made of volcanic rock. Families with kids should check out the junior ranger program where they can get fun badges as souvenirs. There are two entrances on the east and west side, both of which are open from 7:30 AM to 8 PM daily. Cars and trucks cost $30, motorcycles are $25, and walk-ins will cost $15. Check out more info on their website. 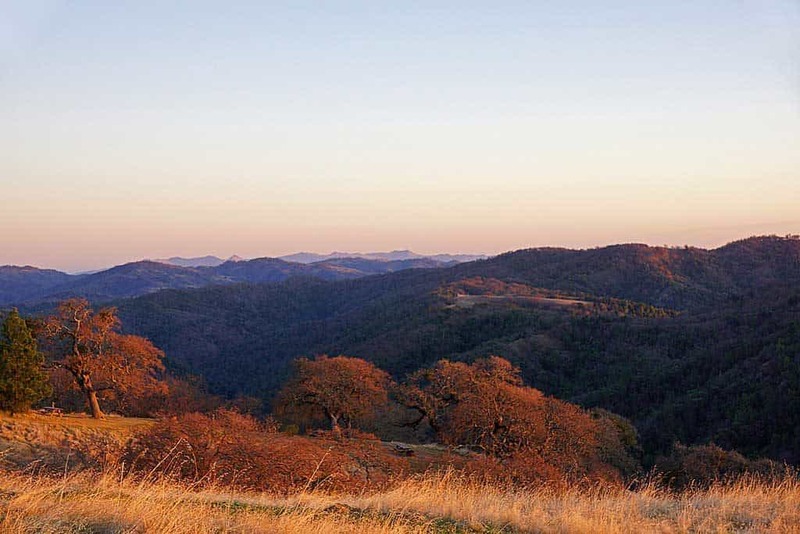 The largest state park in California, Henry W. Coe State Park has over 87,000 acres of room for hiking, mountain biking, fishing, and horseback riding. The park offers 250 miles of hiking trails that involve little elevation and are easy to transverse. There are many campsites available that offer tables, potable water, and campfires are allowed. The park offers over 290 miles of trails perfect for bike riding or horseback riding with trail difficulty ranging from flat to rugged. There is also plenty of wildlife in the form of eagles, bobcat, elk, deer, and even mountain lions. Those interested in fishing can visit the several lakes and ponds full of bass, bluegill and more. The recommended visiting hours are between 8 AM and 4 PM and fees to enter the park range from $6 to $8 plus extra for vehicles and horses. Find out more at their website. This gorgeous state park follows along the Santa Cruz coastline and several steep canyons that have been forged from rainwater. Because of this terrain, opportunities for hiking and backpacking are abundant. These lovely trails wind through the coastal bluffs and bring travelers around tide pools, beaches, and sea caves. If you are interested in horseback riding and camping, there are numerous trails and sites set up that are available on a first come, first served basis. Those interested in history can visit the 1859 Gothic Revival farmhouse, 1896 water-powered machine shop, or the 1897 Victorian home to get a taste of how life was centuries ago. Guided ranch tours and numerous biking routes are also available. The park is open every day from 8 AM until sunset, and there is a $10 vehicle fee per day. Check out everything this park has to offer on their website. When it comes to gorgeous seaside towns full of colorful people and fun activities, it doesn’t get better than Santa Cruz. This city offers a lot to see and do including arts and culture, shopping, many bright breaches, and more. Although all of Santa Cruz is worth seeing, there are two destinations that are really top notch. The first, West Cliff Drive is a three-mile biking and walking path that leads you along the Pacific Ocean. While you travel the trail, there is a lot to see and do including bird watching, dog parks, whale watching excursions, and tons of gorgeous sights. Also in Santa Cruz is the boardwalk, which has many activities for the whole family. There is something for everyone including a casino arcade, mini golf, food, shopping, and more. Thrill seekers will enjoy the roller coasters and carnival rides, and families might enjoy the bowling alleys. 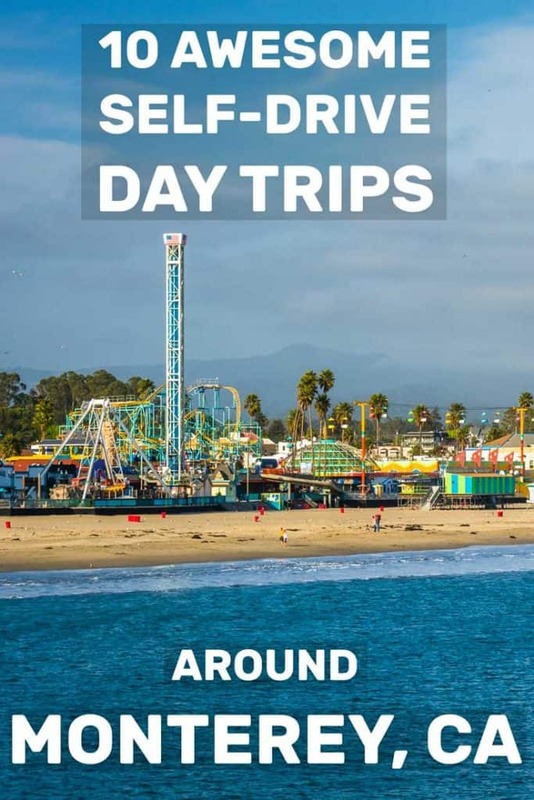 Click on the links above to see the hours and fees for the activities that interest you and check out their site for everything Santa Cruz has to offer. There are few sights quite as astonishing as seeing a giant redwood tree, and at Big Basin state park, you get the opportunity to hike and backpack right near them. Plus, visit the park’s visitor center and Nature Lodge Museum and see rare natural and cultural exhibits. We really enjoyed this park. While drier than some groves in the Redwood National Park area, it’s still gorgeous. And of course, far more accessible. Just watch the road, it’s a winding narrow drive to get into the park. And if you’re interested in more redwoods, then consider taking a week or so to explore the Redwoods in Northern California. More on that in my guide about Redwood National Park. This is a prime place for camping as it has 146 family campsites and cabins and places for horses. Five backpacking trails that loop through Portola Redwoods State Park, Castle Rock State Park, and Butano State Park. There is a lot of fun hiking to be had on the 80 miles of roads and trails that bring visitors past waterfalls and some of the oldest trees on earth. As California’s oldest state park, there is a lot of history to take in and an abundance of animal life to behold. The park is open 8 AM to 6 PM Sunday through Thursday, 8 AM to 7 PM Friday and Saturday, and there is a $10 fee for regular sized vehicles. Check out their website to learn more. 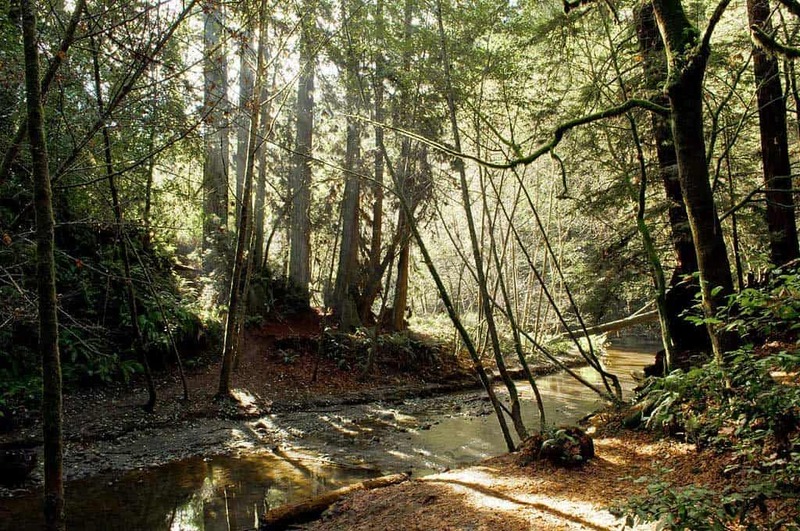 If you are looking for the wooded splendor that only a luscious forest can provide then The Forest of Nisene Marks State Park must be a part of your to-do list. 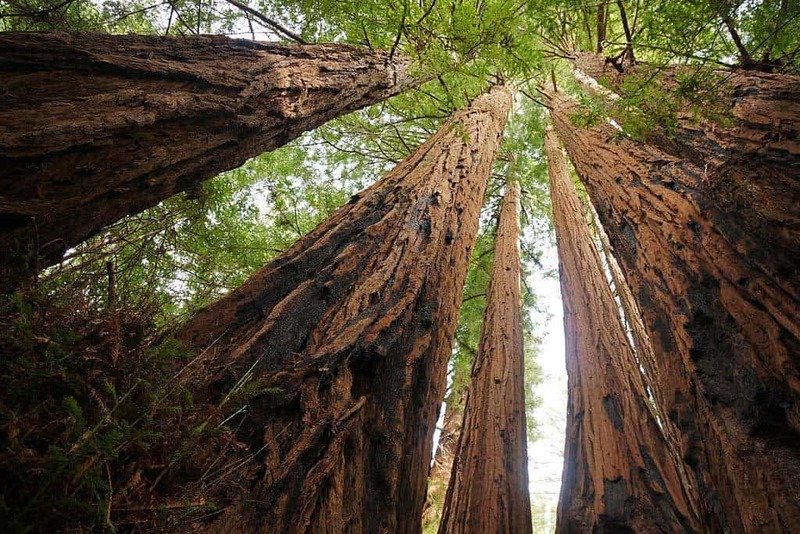 Located in the Santa Cruz mountains, this park is full of awe-inspiring redwood trees that range up to 120 years old and are as high as 125 feet tall. While you enjoy the forest, grab your backpack and hike through a bevy of trails that bring you past magnificent waterfalls and historical sights such as the Hoffman’s home which was once a house for 100 loggers and mill workers and is now an educational site. Visitors at this park enjoy the bevy of available trails and the fact that dogs are allowed to accompany their owners. This park is open sunrise to sunset, and there is an $8 vehicle day-use fee. You can check out the park and the brochure on their website. Many people go to national parks to enjoy the wonderful wildlife that the country has to offer, and at Coyote Lake Harvey Bear Ranch County Park, visitors can see everything from turtles and salamanders to butterflies and bald eagles. The park has 33 miles of trails that make their way through oak forests and along dazzling rivers. 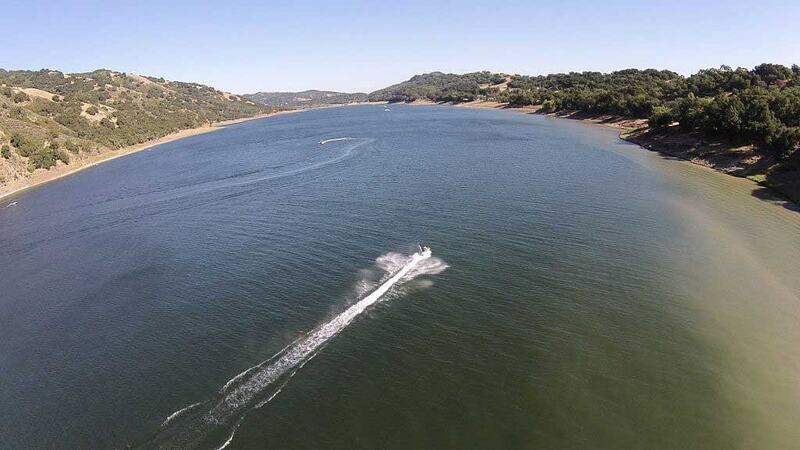 The park’s Coyote Lake offers water lovers the opportunity to boat, waterski, sail, and fish for a plethora of species including carp, bass, and bluegill. Some of the most exciting trails make their way up through canyons and ridgeways while supplying lovely views of Santa Clara. Check out what this park can offer at the website. If you love the look and sound of trains in a big amusement park atmosphere, then you will need to check out Roaring Camp Railroads. This was once a famous logging area, and with logs, you must have trains! 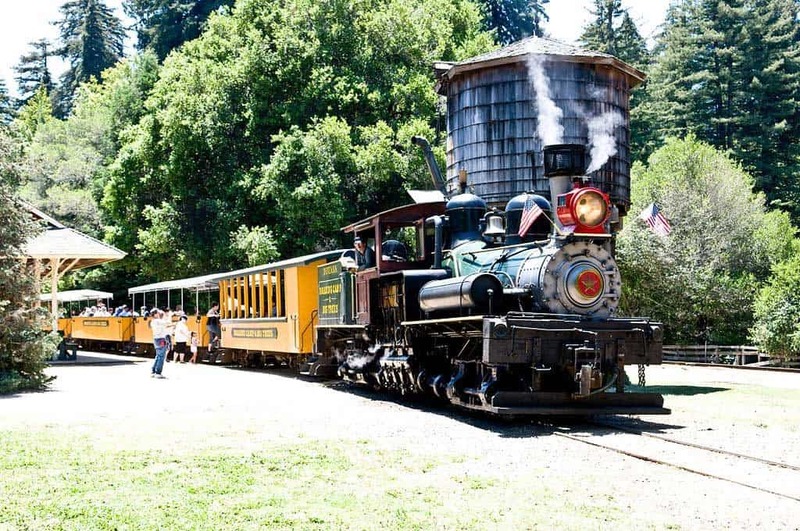 The trains at this park take you through majestic redwood forests and other beautiful scenery. There is much to do at this park including rides on two fast and fun trains, the Redwood Forest Steam Train and the Santa Cruz Beach Train which take you either up and down Bear Mountain or past the gorgeous beaches of the city. When you depart the train, you can see their famous model railroad exhibit, civil war battle reenactments, and the special dinner party events. Tickets will cost $32 for the train ride and travel times vary. Check out the website for more information. 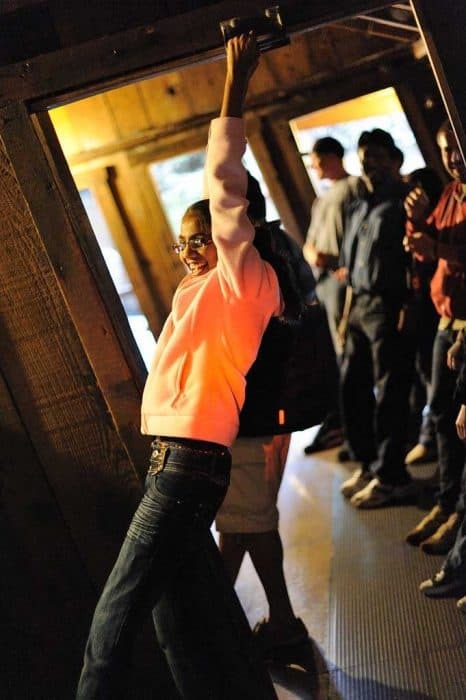 If your family is looking to enjoy something completely different, then take them to the memorable and exciting Mystery Spot. This fun location is a unique area located in the redwood forests where you will question your perception of physics and the laws of gravity. Discovered in 1939 and opened to the public in 1940, visitors flock to this attraction to see objects defy gravity, possibly due to the mysterious cones of metal that they say are buried underground. It is truly a sight to behold, but you must see it for yourself. This location is open 365 days a year 10:00 AM to 4:00 PM Monday through Friday and 10:00 AM to 5:00 PM Saturday through Sunday. Tickets are available for $8 plus a $5 parking fee. Check out the website for details. Where are these day trip destinations located? I hope I convinced you that Monterey is a great hub from which to take day trips in pretty much every direction! Accommodation in town can get expensive but if you book ahead of time and stay on the outskirts of town, you can find good rates. Our personal favorite was the Best Western in Monterey. Nothing fancy but a clean decent motel. I do suggest searching through all of these Monterey hotel options to find the best accommodation for your dates and budget. I hope you found this post helpful. As always, feel free to leave me comments and questions – including suggestions for more great trips out of Monterey!